Just FYI. 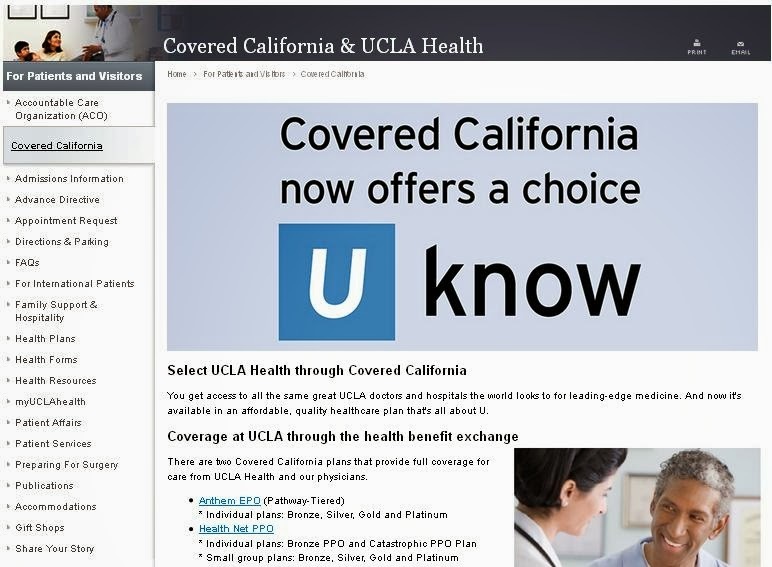 For persons in the individual health care market that has been set up as part of the federal Affordable Care Act (Obamacare), UCLA is advertising for business. This option is not for UC employees or retirees covered by a university health plan. However, the info might be useful if you know folks shopping in the individual market. Previous Previous post: Advice to Whoever is Appointed Vice Chancellor for Equity, Diversity and Inclusion: Buckle Up!